In May 2012, a new sign towered over one of Sydney’s most iconic parks signalling the arrival of Pullman Sydney Hyde Park and the start of Pullman’s expansion in becoming Australia’s largest and fastest growing 5-star hotel brand. Less than 12-months on and the 241-room hotel has unveiled a striking, multi-million dollar refurbishment where everything from the lobby to guestrooms have been renovated, placing the hotel at the forefront of Sydney’s cosmopolitan 5-star hotel market. From the moment guests enter the hotel via College Street, the new-look lobby will make an instant impression. A Paul Smith-style designer rug with purple, orange, lime green and cream stripes takes up much of the entrance and sits under an enormous cylindrical chandelier, while a deep purple chaise lounge adds to the modern new look. The Pullman Executive Lounge located on level 21 enjoys stunning views of the Sydney skyline, Hyde Park, Woolloomooloo and Sydney Harbour and features new carpet, comfortable seating arrangements and a light refreshment bar. The Executive Lounge is tailored towards the business traveller and available to those who stay on Executive floors and guests who seek the complete Pullman experience. As well as the addition of the Executive Lounge, Pullman Sydney Hyde Park has installed a world class Connectivity Lounge which is set to be one of the most technologically advanced lounges of the Pullman portfolio, setting a benchmark for Pullman’s connectivity concept. As part of the new lounge, guests of the hotel will enjoy complimentary WiFi as well as a range of business services. Another addition to hotel’s public areas is Bar Rendezvous, the hotel’s new, sleek bar with dark timber floors and panelling which provides an inviting and intimate space for guests to enjoy pre-dinner drinks or a late night night-cap. Moving onto the guestrooms, all of the 22 floors of accommodation have been completely stripped back and refurbished, with new carpets, artistic bed heads, glass work desks, chairs and artistic lighting a feature. Purple, orange and charcoal hues against light wooden wall mounts combine to create a fresh, modern and luxurious new look – a vast difference from the previous green, red and brown colour scheme. All of the bathrooms – some of which are the most spacious in the city – have been retiled and new toilets, lighting and vanity taps will be noticeable, along with Roger & Gallet amenity kits. General Manager for Pullman Sydney Hyde Park, Lorraine Mercuri, said the renovation had been a long time in the making and that the hotel would benefit considerably from the upgrade. “The location and facilities on offer at Pullman Hyde Park make it one of Sydney’s most desirable hotels and now with this stunning makeover we are able to provide our guests with a higher level of comfort. 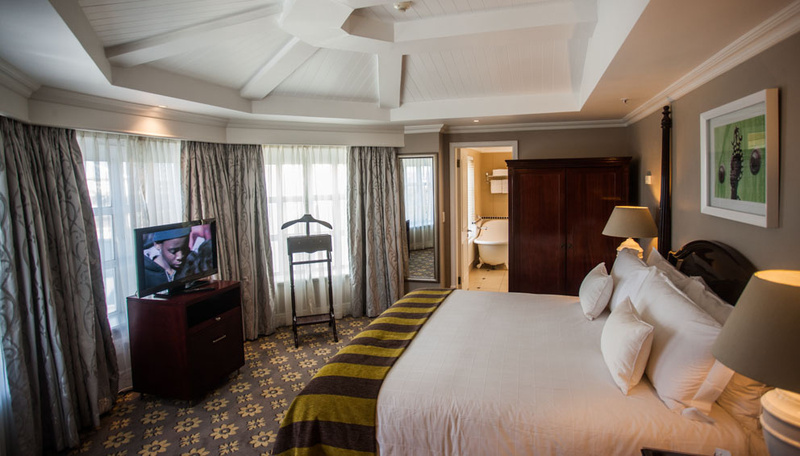 “We have been receiving positive feedback on the new rooms and people are loving the lobby and lounge areas. We’re looking forward to welcoming back former Sydney Marriott Hotel guests and introducing them and new guests to the new look hotel and look forward to seeing them enjoy the Pullman benefits”. 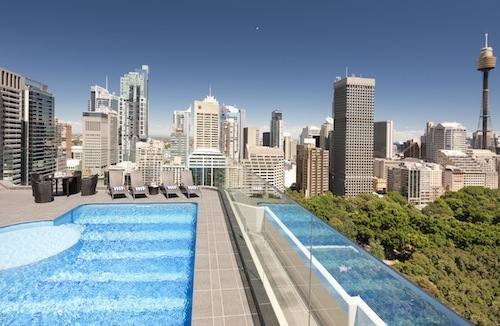 Aside from the hotel’s impressive enhancements, Pullman Sydney Hyde Park boasts a rooftop swimming pool with spectacular views over Hyde Park and Sydney Harbour, as well as a rooftop gymnasium. The hotel’s spacious Window’s Restaurant serves breakfast and dinner and serves modern international cuisine while taking in the leafy views of Hyde Park. Ideally located at the cosmopolitan end of Sydney, with magnificent views over Hyde Park and the city skyline on one end and sweeping neighbourhood views of East Sydney on the other end, Pullman Sydney Hyde Park is a fashionable and intimate 5-star hotel which combines sophistication and understated glam for the discerning business and leisure traveller. Pullman Sydney Hyde Park is accredited to provide Accor’s Chinese Optimum Standards, whereby Chinese guests are welcomed with translated hotel kits, Chinese menu options, Chinese newspapers, adaptor plugs amongst other enhancements. 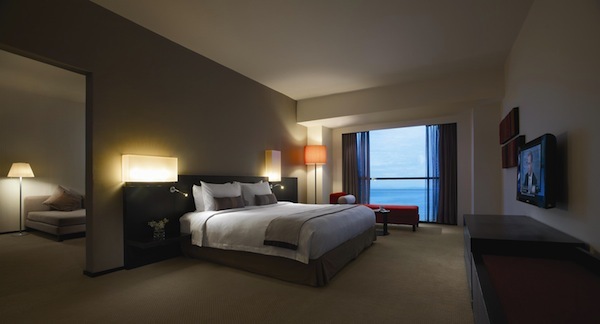 Rates at Pullman Sydney Hyde Park start from $279.